This page shows the latest evolucumab news and features for those working in and with pharma, biotech and healthcare. But gives GlaxoSmithKline’s asthma drug Nucala the green light. 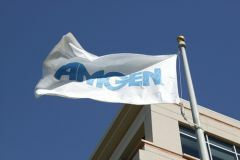 The Scottish Medicines Consortium (SMC) has turned down Amgen's cholesterol-lowering treatment Repatha (evolucumab), citing a lack of “robust” data.